bits-en-pieces: What are the Benefits of Niacinamide Serum? Skin conditions are irreversible when you hit that certain age in your life where dark spots, crows feet, dark circles under your eyes develop through time. Above are the most common conditions of the skin due to aging and lifestyle. 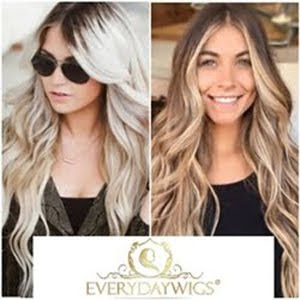 There are ways naturally and also with the help of beauty products that are there in the market can help repair and lessen the cause of skin damage. 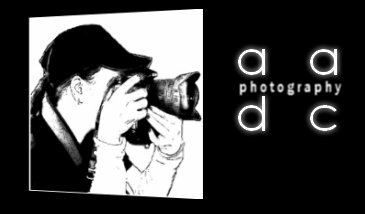 We can also seek a piece of advice with the professionals if needed. 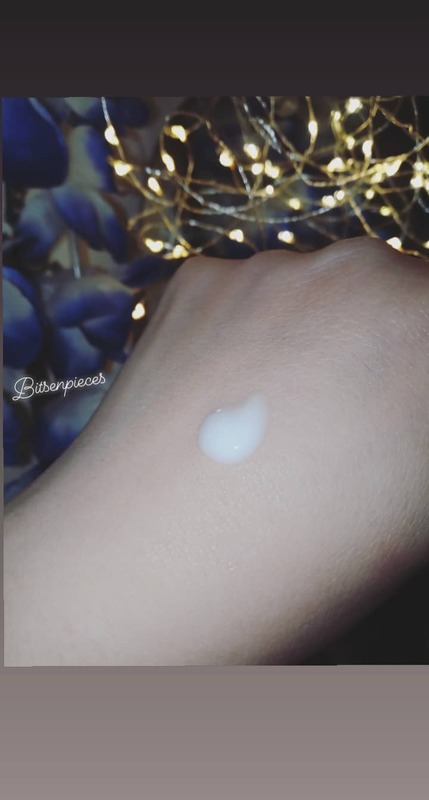 Products in the market for an affordable cost can be a solution for these skin problems, we just need to make sure and source out approved and licensed brand of such products. Niacinamide can help your skin grow a ceramide (lipid) barrier, which can, in turn, helps retain moisture. This is beneficial for all skin types, especially if you have eczema or mature skin. Niacinamide reduces inflammation, which may help ease redness from eczema, acne, and other inflammatory skin conditions. Keeping skin smooth and moisturized may have a secondary benefit — a natural reduction in pore size over time. The benefits of moisture retention aren’t just for those with dry skin types. Niacinamide can also help regulate the amount of oil the sebaceous glands produce and prevent your glands from going into overdrive. Niacinamide can concurrently rebuild healthy skin cells while also protecting them from damage caused by ultraviolet rays. Some research has found 5 percent niacinamide concentrations can be helpful in lightening dark spots. 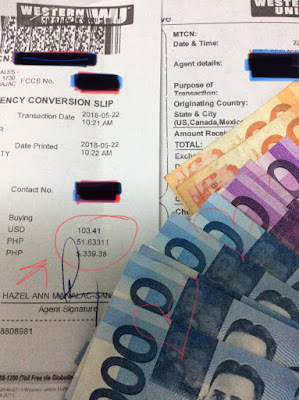 Benefits were seen after four weeks, but not beyond two months. This benefit may be due to increased collagen production. Research has also found that the same concentration was helpful in reducing some signs of sun damage that come with aging. This includes fine lines and wrinkles. Niacinamide helps build cells in the skin while also protecting them from environmental stresses, such as sunlight, pollution, and toxins. Niacinamide may be helpful for severe acne, especially inflammatory forms like papules and pustules. Over time, you may see fewer lesions and improved skin texture. With all the benefits of Niacinamide Serum that can help my skin, I can give it a try and use products with this niacinamide serum in it. 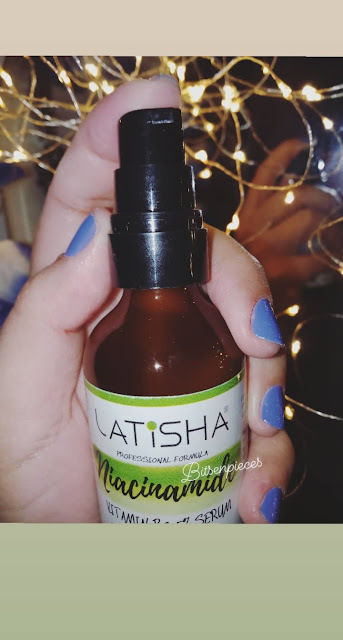 Niacinamide is a first-rate solution to pigmentation control without the harmful side effects commonly associated with many other skin lightening agents. As a skin lightening agent, niacinamide effectively reduces areas of jagged pigmentation and age spots. Niacinamide increases hydration levels. The end result is skin that is softer, smoother, and less prone to irritation, redness, and sensitivity. My thoughts after using the serum for five days now and I don't see and feel any negative reaction on my skin. The serum absorbs quickly onto the skin leaving no sticky feel even when outside an air-conditioned room. The scent has a hint of mint + a bamboo scent. 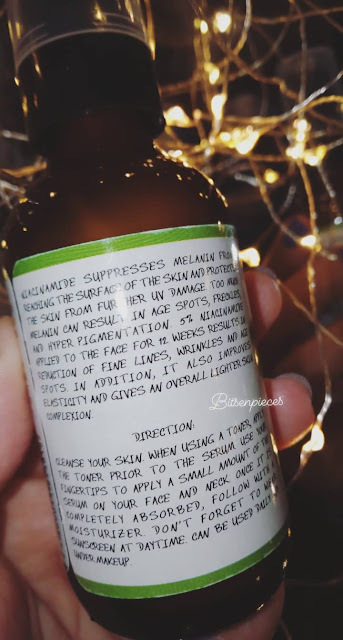 I have been using the serum at night after a shower and cleansed my face with facial wash + toner. 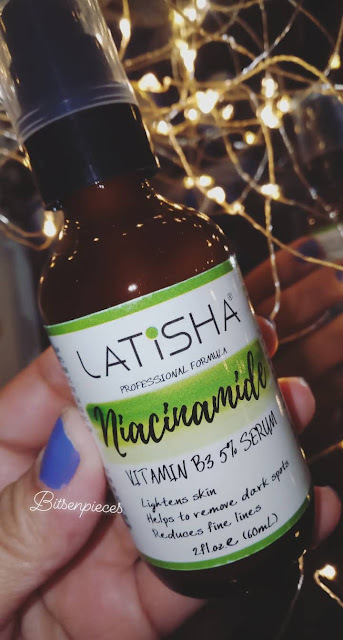 I added Latisha Niacinamide Serum with Vitamin B3 as my additional face moisturizer. 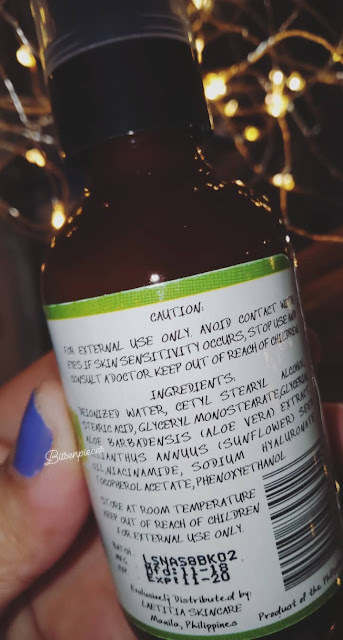 I just followed the direction at the back label of the bottle and I am done! 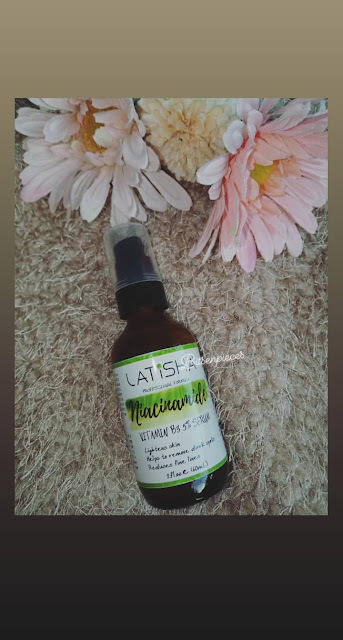 I am confident with the continuous use of Latisha niacinamide serum I can achieve or even prevent additional skin aging and limit the appearance of dark spots. The product was sent to me for free for review and I have no negative reaction up to this date.